A sunroom is the perfect addition – a modern improvement on yesterday’s porch - allowing you to relax in the outdoors without being at the mercy of the elements. With Four Seasons sunrooms and windows, you can enjoy natural light and panoramic views all year-round. When deciding to build a new addition on your home, one is often confronted with difficult decisions about what the room will be used for, and the daunting costs associated with construction. Four Seasons provides a low-cost and versatile solution to this problem. Your new sunroom will instantly become your favorite room in your home as you get all the perks of natural light and outdoor views, without being exposed to the discomfort of the elements. 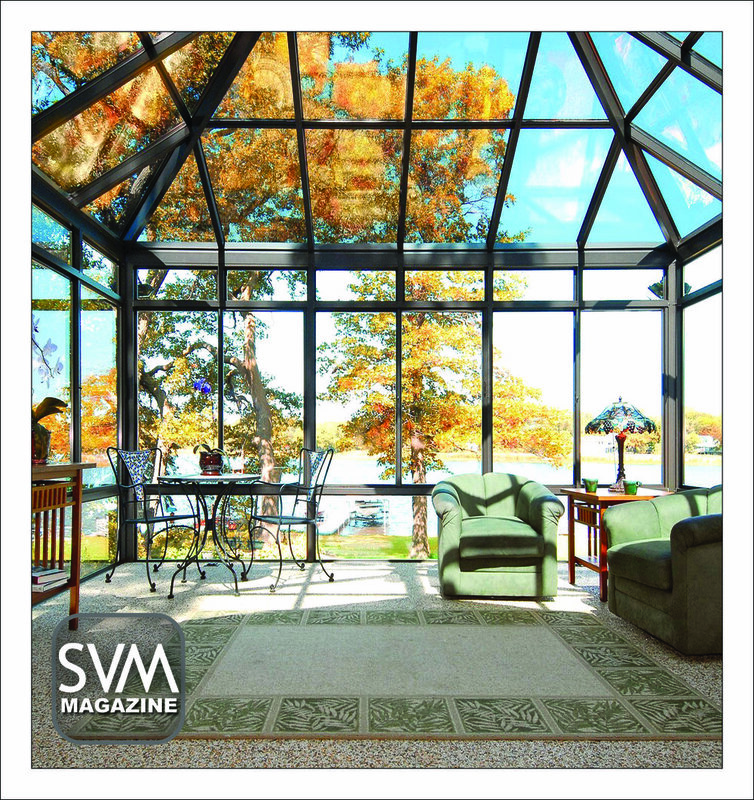 As summer days get longer and brighter, SVM sat down with Ed Kennedy from Four Seasons Sunrooms to explain the process and benefits of adding a sunroom to your home. What are some of the advantages of having a sunroom in your home? Every homeowner that I talk to wants to find a way to bring more natural light into their home. Having a sunroom allows natural light to permeate through your home and instantly make it feel more inviting and welcoming. You simply can’t get the same results by artificial means. Your sunroom is also the most versatile room in the house. It could be a sitting room, a game room, a dining area, an indoor garden, or a hot-tub room. Whatever you choose to make of it, you will find yourself spending as much time as possible in your sunroom. Why should people choose a sunroom over a standard room addition? A sunroom can be built in a fraction of the time and cost as a standard addition, and you will find yourself loving it even more than a traditional room. You can also get a lot more mileage from a sunroom due to its endless versatility. What’s different or better about the design of the sunrooms you’re making today? 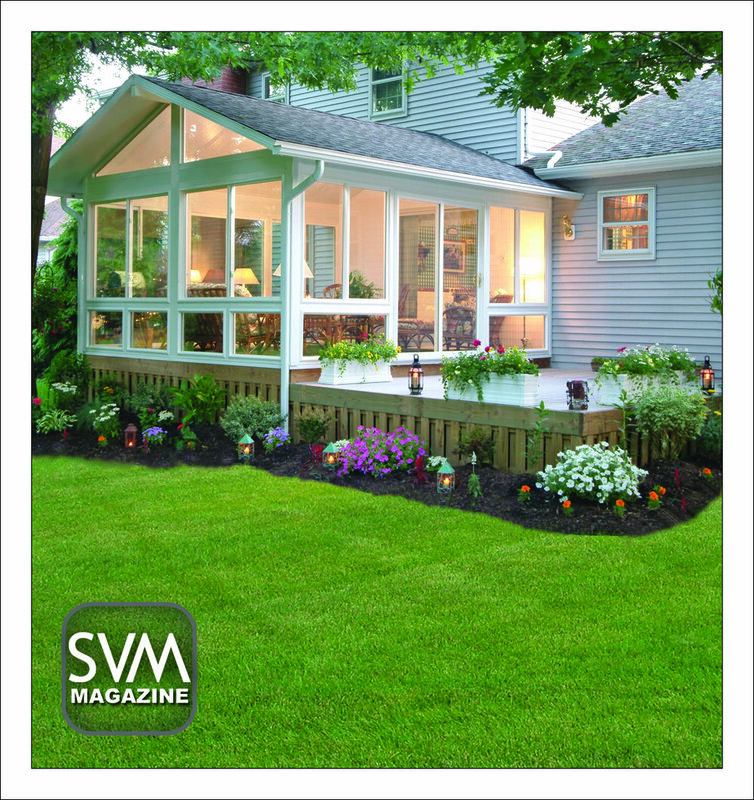 Four Seasons is an industry leader in sunroom construction. We are constantly coming up with new and innovative products for homeowners. The latest product, Life Room, incorporates motorized screens that can raise and lower at the push of a button. We also have over 20 styles to easily match the architecture of your home. Four Seasons has an exclusive patent on energy efficient glass to keep the cost of ownership as low as possible. Do you provide sun shades for windows, doors and sunrooms? We can install shades per request, however, they are not needed, as the glass is designed to keep the harsh Southern heat out. We can install shades as a matter of privacy, if you so choose. One question many people ask is: “Do I need to obtain a building permit for my sunroom?” In general, yes, a building permit is required. We take care of that by obtaining the proper permits and helping with neighborhood HOA approvals. You also need to make sure you hire a state licensed General Contractor who carries Liability and Workman’s Comp insurances. We are licensed in Georgia and Alabama. What do you like most about having a business in Columbus? We enjoy being able to serve the Chattahoochee Valley residents by offering quality home improvement products that they can enjoy for years.